Virginia high school student Cady Eimer had been asking Justin Bieber to be her prom date for years, but unfortunately the Biebs couldn't attend. So instead, he did her one better and invited 18-year-old Eimer and her sister to Sunday's Billboard Music Awards. "I know you wanted me to go to your prom Cady, but I'm actually going to be at the Billboard Awards, and I'm actually going to have a car waiting for you ... that's exciting, right?" Bieber said in his videotaped invite, which played for all to see at Eimer's prom. 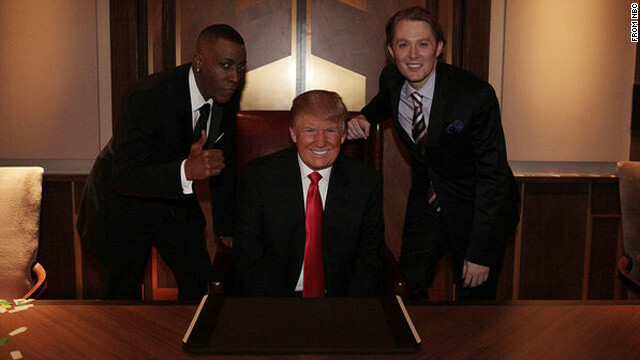 You couldn't find a better matched pair - or two people with closer ties to their charities - than Clay Aiken and Arsenio Hall, who managed to make it to the live season finale of "Celebrity Apprentice" on Sunday night. Clay actually founded his "National Inclusion Project," while the "'Magic Johnson Foundation" was born out of an appearance the legendary basketball player made on Arsenio's '90s talk show (which, by the way, Arsenio announced he hopes to revive). So the two went head-to-head with competing fundraising parties the same night. Both went with their strengths: For Arsenio, a team of comedians (plus "Real Housewife" Teresa Guidice), while Clay opted for a team of musicians (plus Penn Jillette). 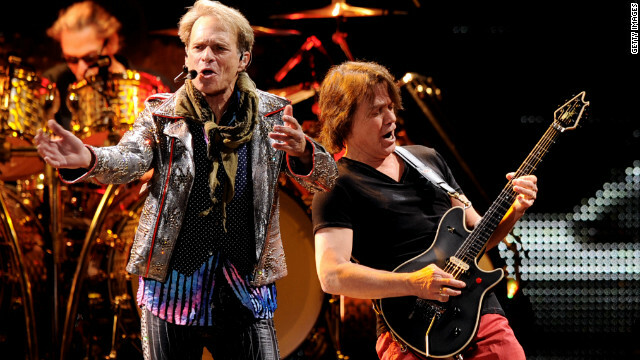 Although their abrupt tour date changes might've suggested as much to some, David Lee Roth says that he and the rest of Van Halen aren’t beefing, and there also isn't any internal discord threatening to break them all up. According to Rolling Stone, the real reason why Van Halen is shuffling a bunch of their summer tour dates is because of fatigue. Roth himself posted a video online Sunday explaining why the band crossed 30 American dates off their touring schedule following their July 26 show in New Orleans. We’re 22 days into the investigation of Rosie Larsen’s murder with just four episodes left in the season, which means it’s time for the writers to start doing some explaining. 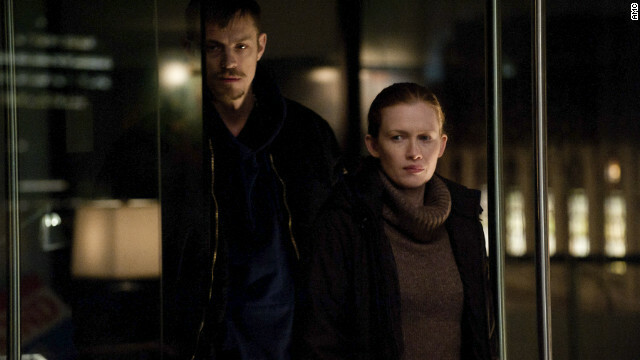 Sunday’s episode waited until pretty much the very end to serve its purpose in the overall story, and I’d say it more or less delivered with information we’ve been speculating about all season. Looking like me after a game in my weekly soccer league, Holder limps his way through the station and into Linden’s office, where everything has been removed. You know her as the perky anchor of HLN’s "Morning Express," but Robin Meade also has a musical side. Meade spent her childhood singing in her father’s church, and as she told CNN in a recent interview, "I thought that everybody could sing." While she's currently a journalist with music as a side career, as a high school senior she had no idea what path to pursue.